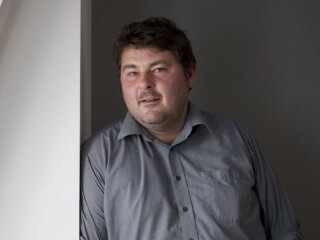 Ben Wheatley (born 1972) is a British director of feature films, TV comedy shows, adverts and idents. After releasing in 2012 and 2011 his films Sightseers and Kill List, in 2013, the cult director Ben Wheatley has struck a deal with Film4 for his latest feature, A Field in England, a film which is set to be shown on television on the day of its cinema release. The film will be released on DVD the same day in a ground-breaking multi-platform distribution strategy. Wheatley, best-known for the critically-approved films Sightseers and Kill List, persuaded Film4 to screen his quirky movie about English Civil War combatants getting high on magic mushrooms after making it on a budget of just £300,000 – a fraction of the normal cost of a television period drama. Between 2007 and 2009 Wheatley directed series 2 of Modern Toss, The Wrong Door and Ideal series 5 for BBC3. In May 2009 he directed a feature film called Down Terrace in just eight days, which went on to win the Next Wave prize at Fantastic Fest in Austin and Best UK Feature at Raindance in London. He has also directed adverts for Blink Productions. He is the founder of Mr. and Mrs. Wheatley. In 2010 Wheatley completed shooting his second feature, Kill List for Warp X. A sci-fi TV series written and directed by Wheatley has also been announced, entitled Silk Road. The series, said to be "in the vein of the Patrick McGoohan classic The Prisoner", will be screened on HBO. A Field in England was shot in countryside outside Guildford last September and stars Michael Smiley, Julian Barratt (The Mighty Boosh) and Reece Shearsmith (The League of Gentleman).